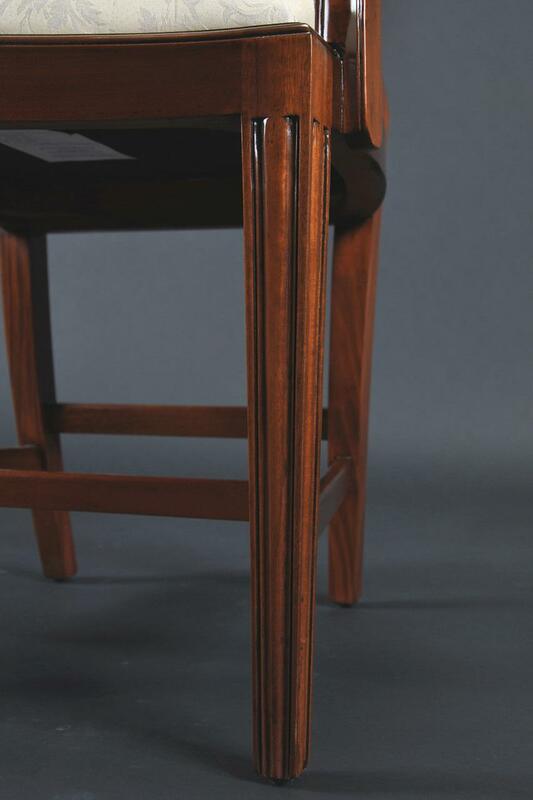 Federal | Sheraton Style Schmieg & Kotzian Design ideal for smaller tables. 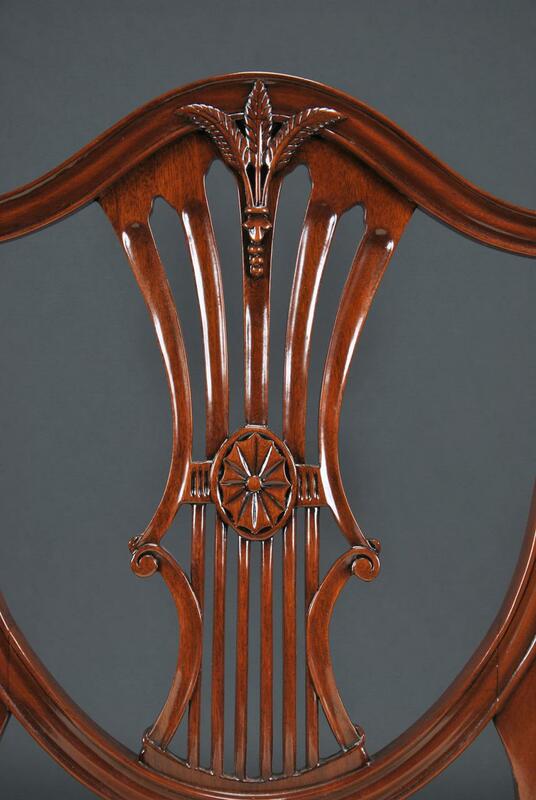 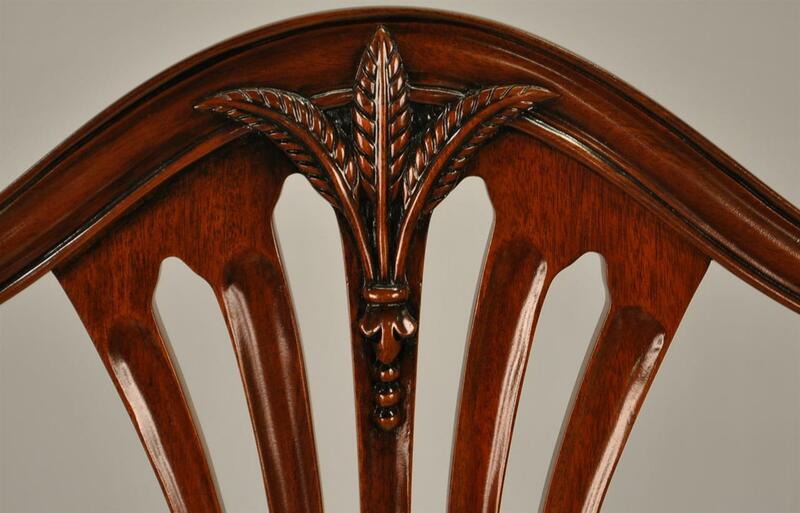 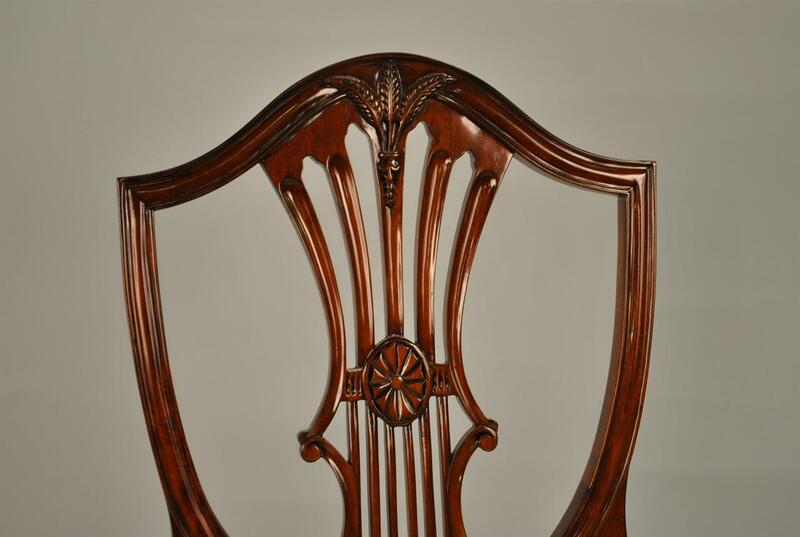 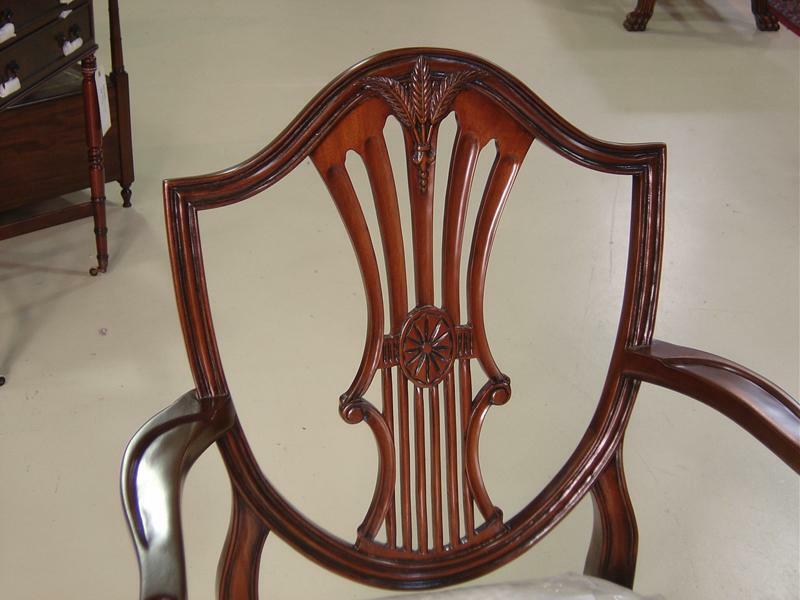 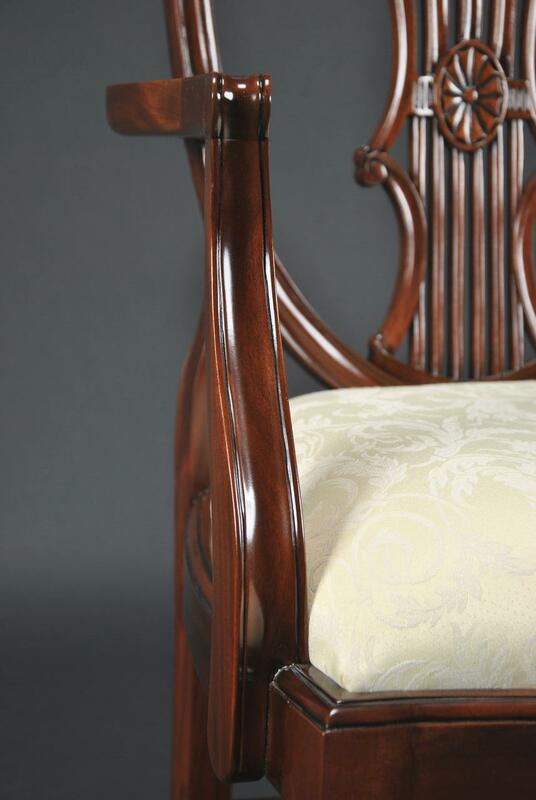 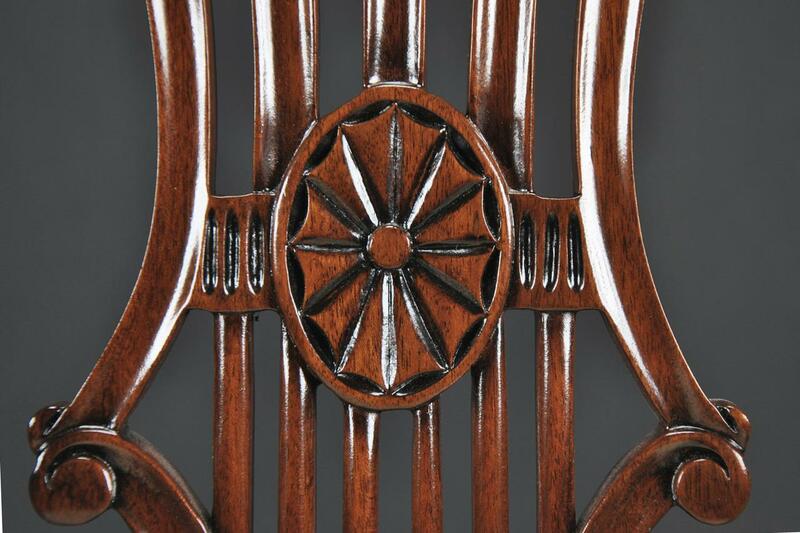 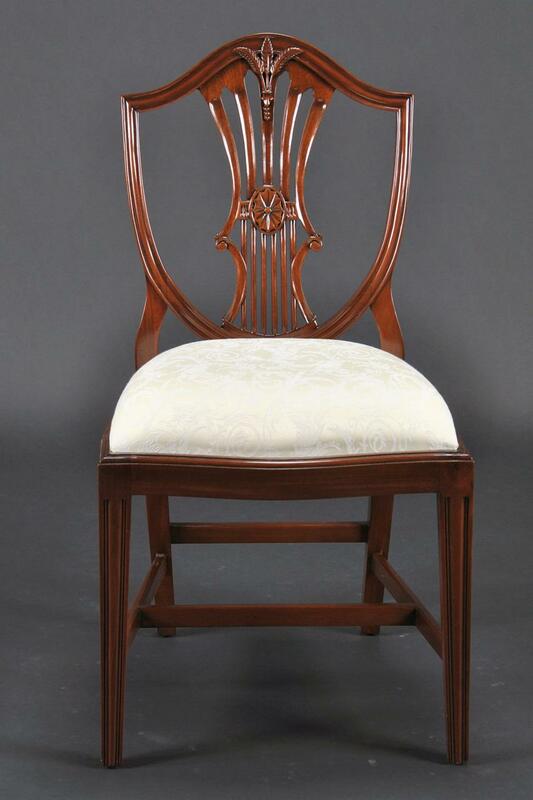 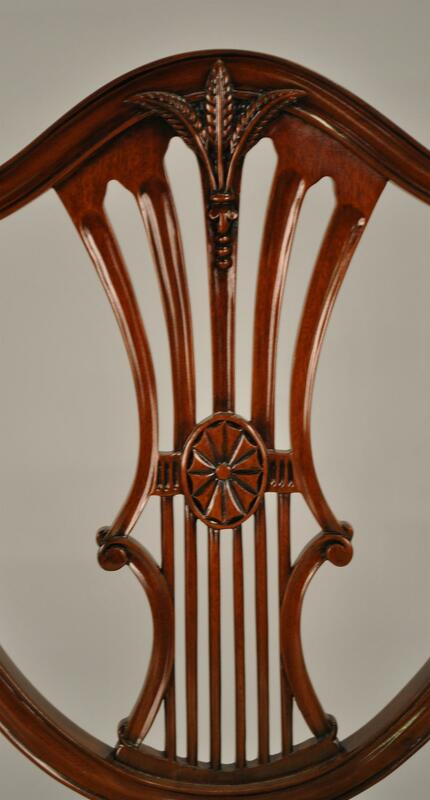 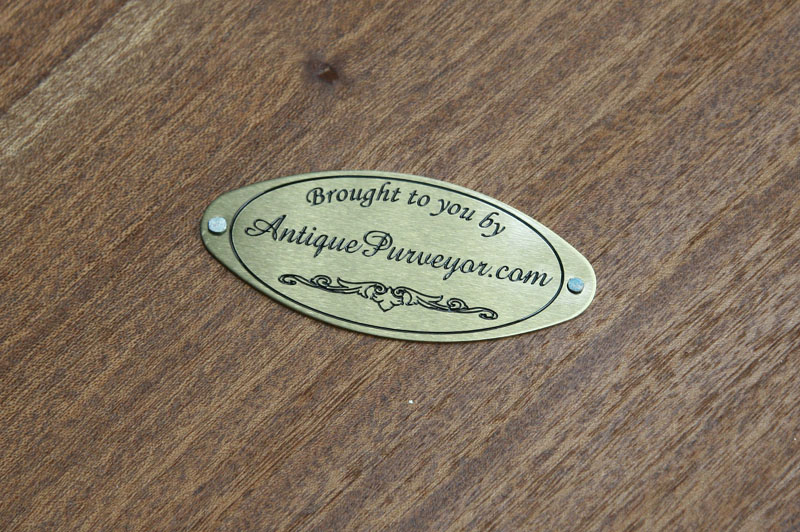 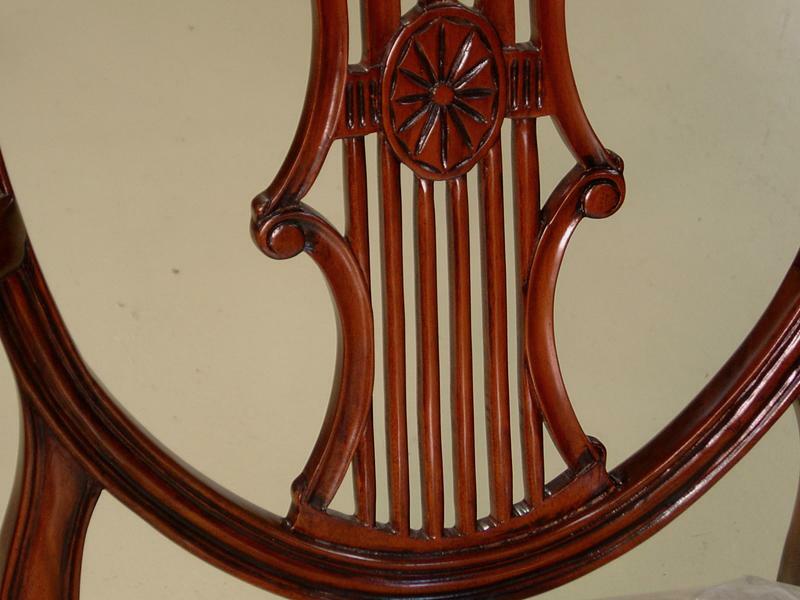 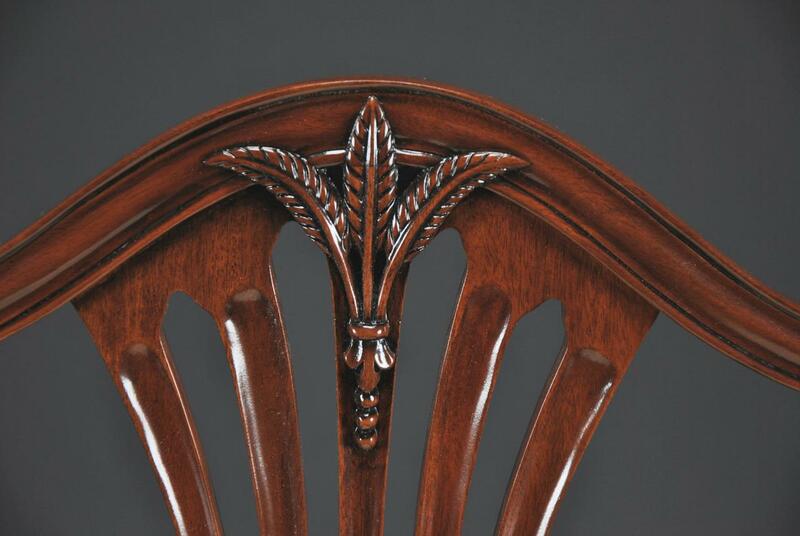 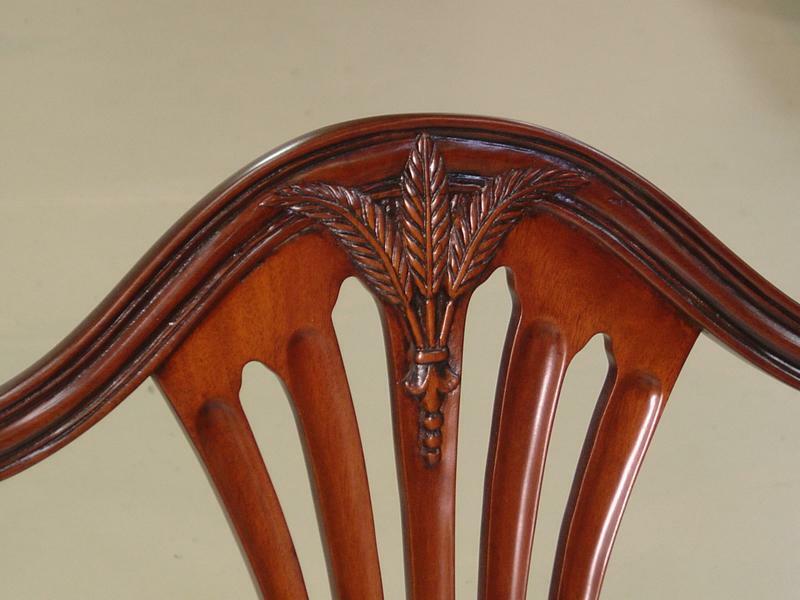 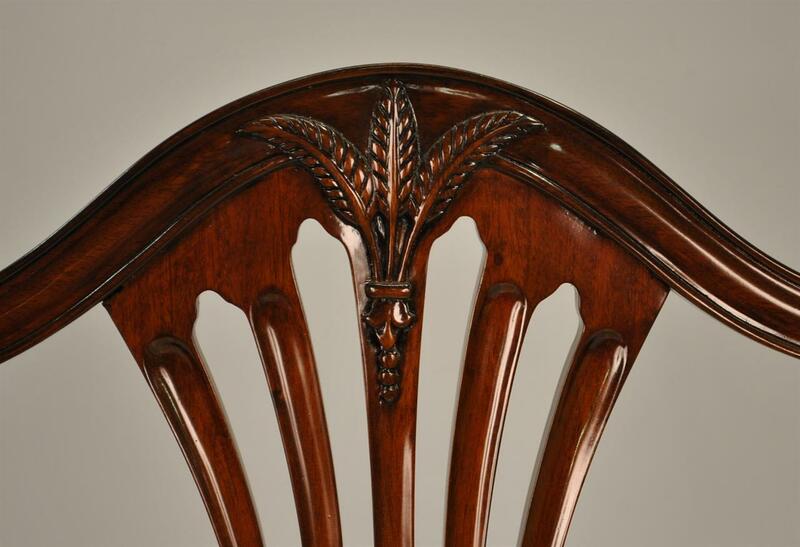 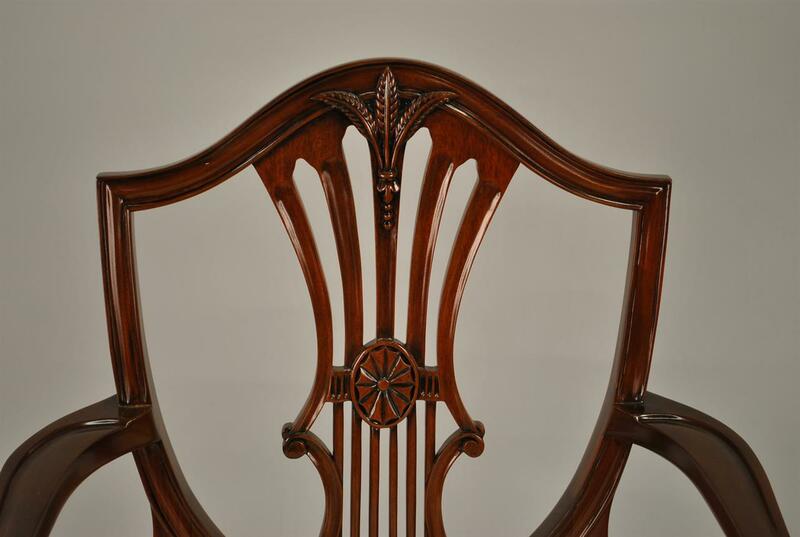 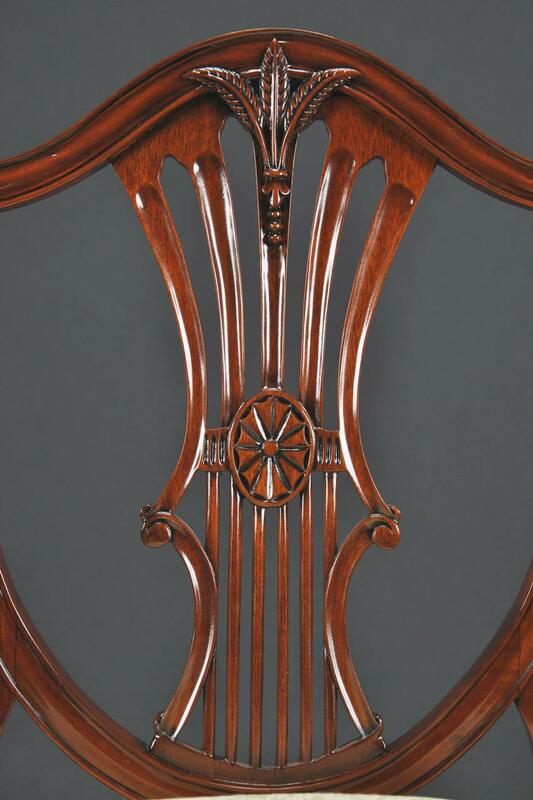 Description: Here is a shield back chair which is simple in design yet finely detailed with carvings. 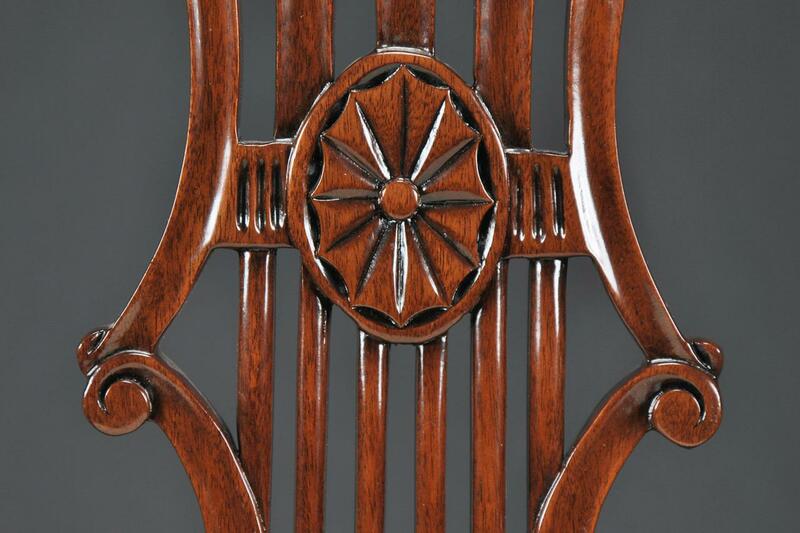 This is my personal favorite shield back dining chair. 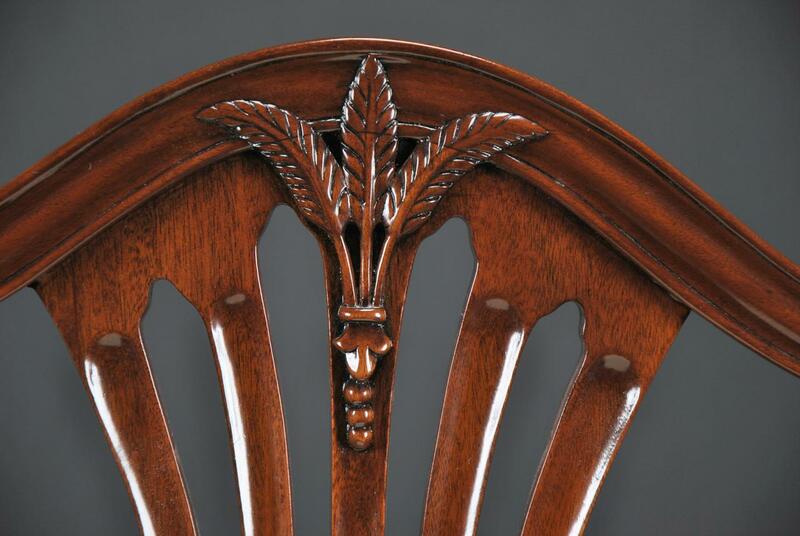 It has pierce carvings and an acanthus leaf carving with bell flowers. 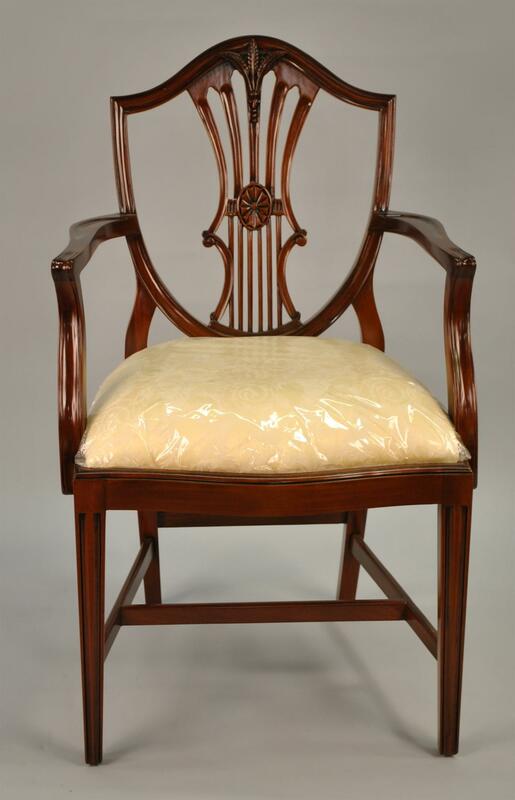 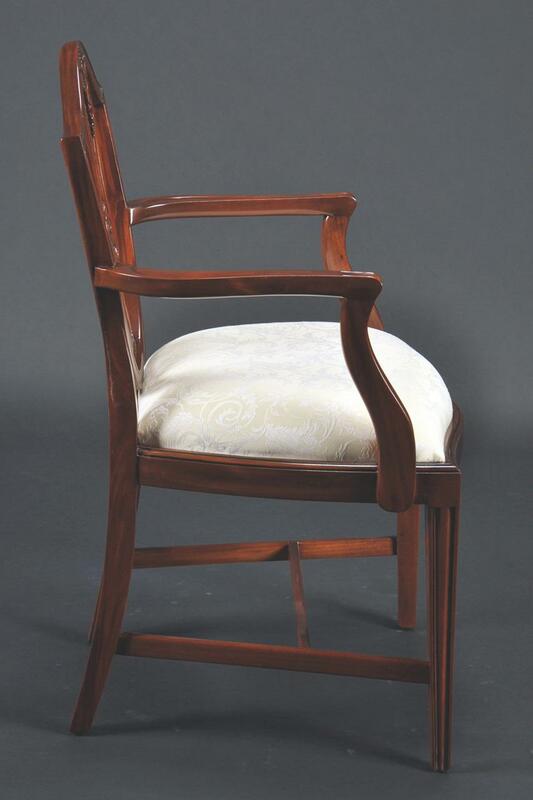 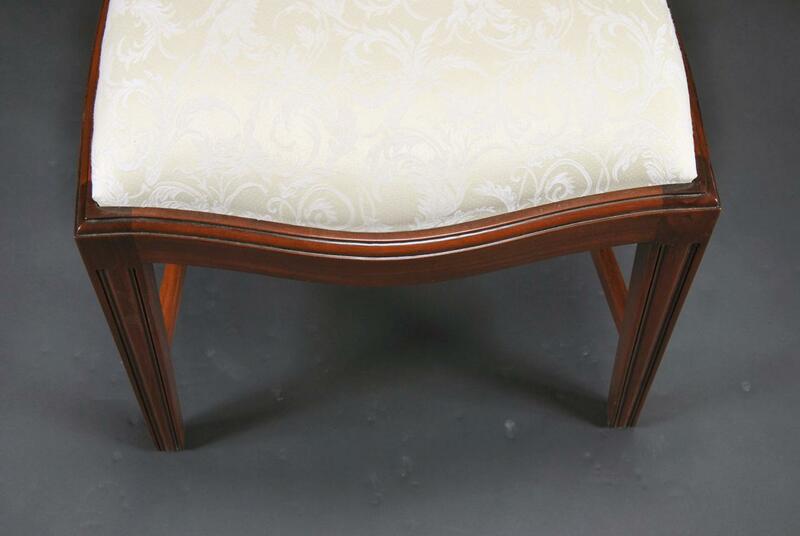 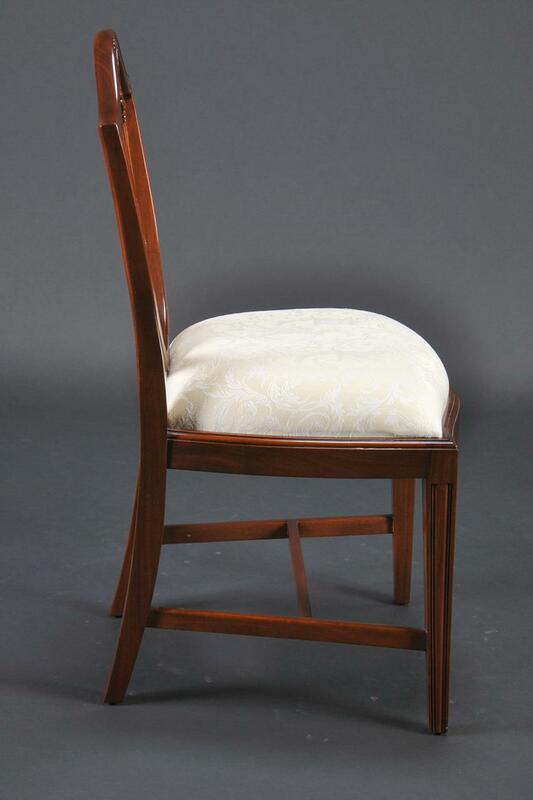 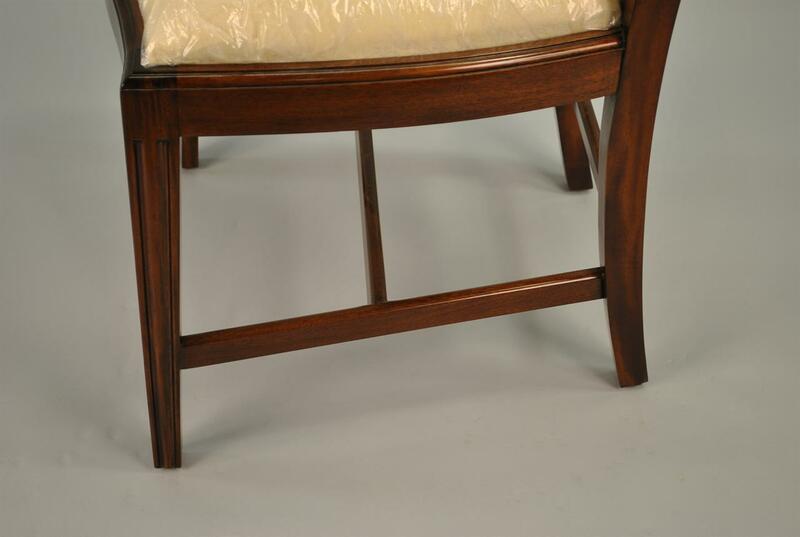 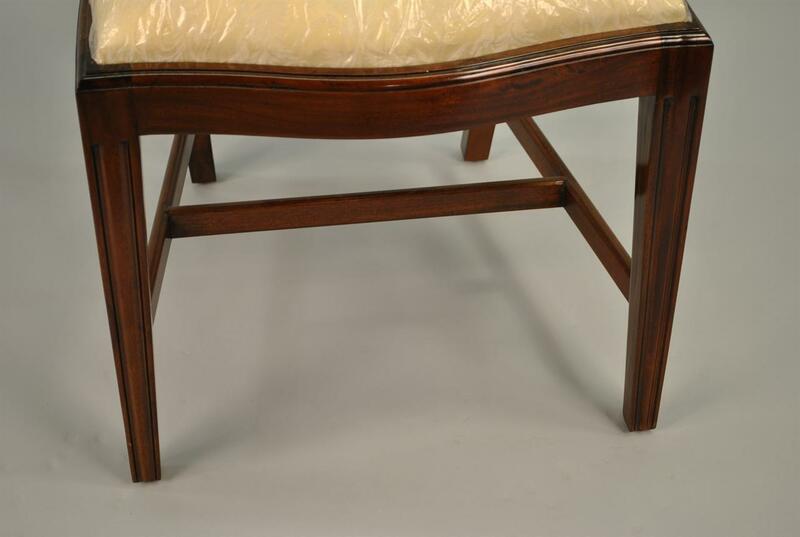 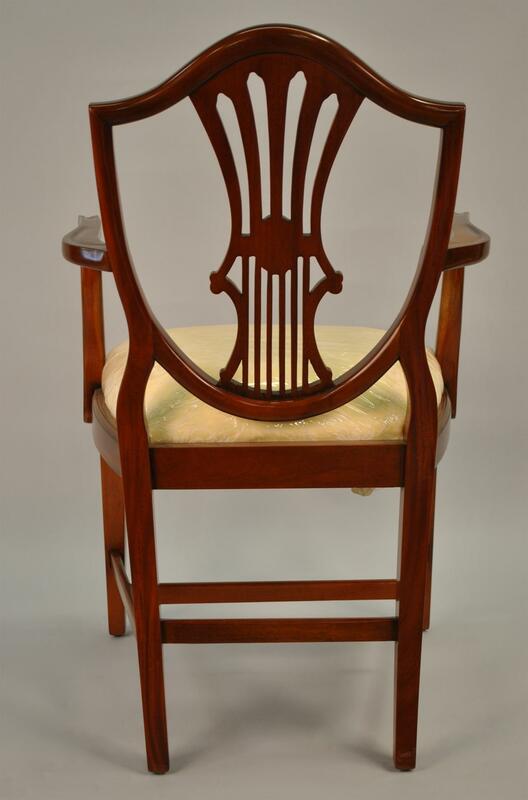 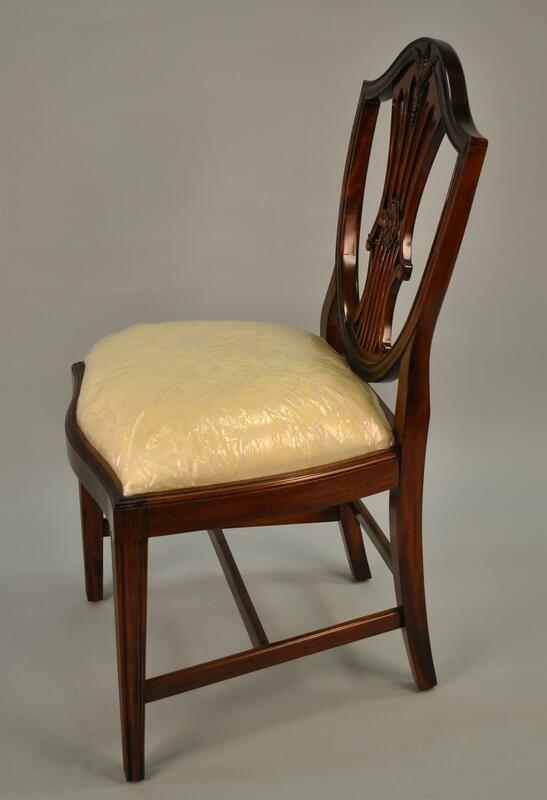 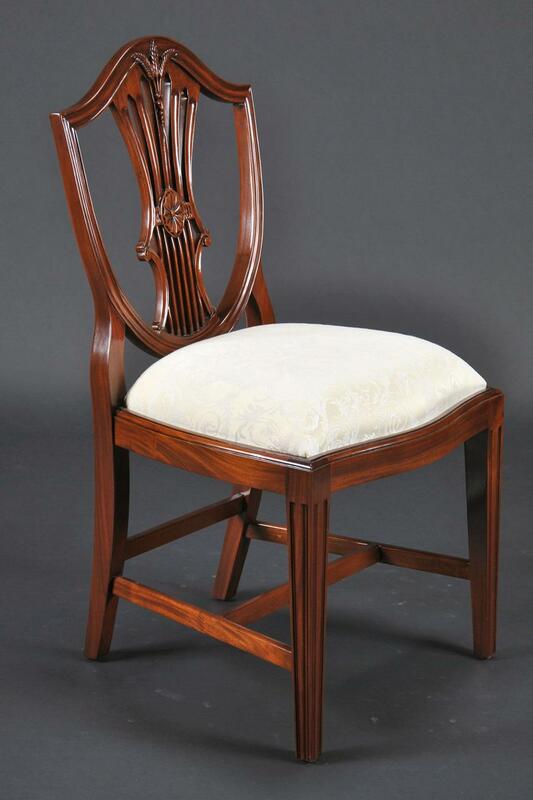 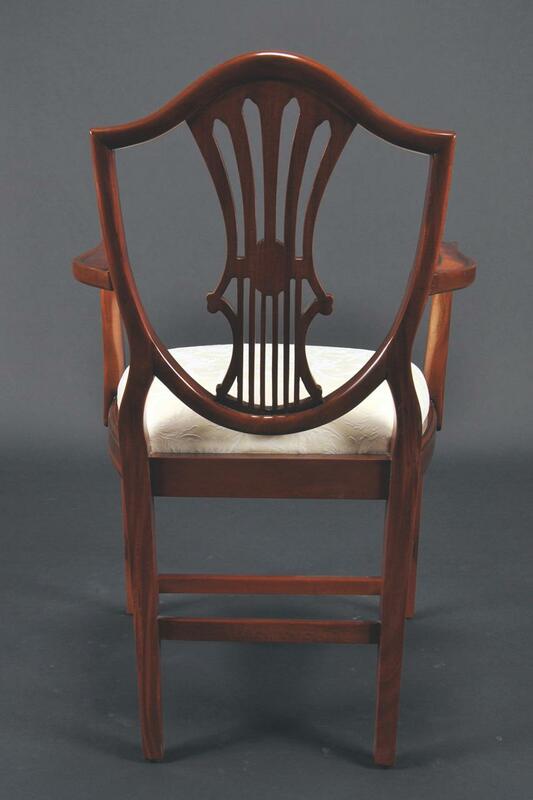 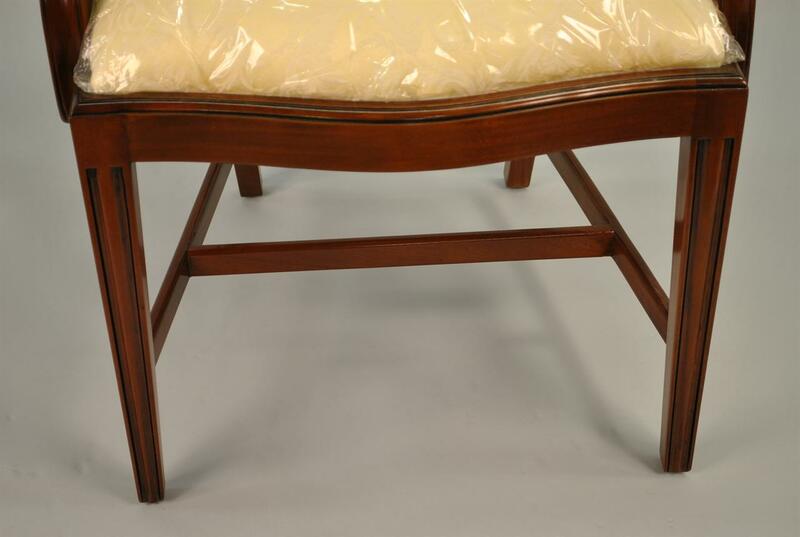 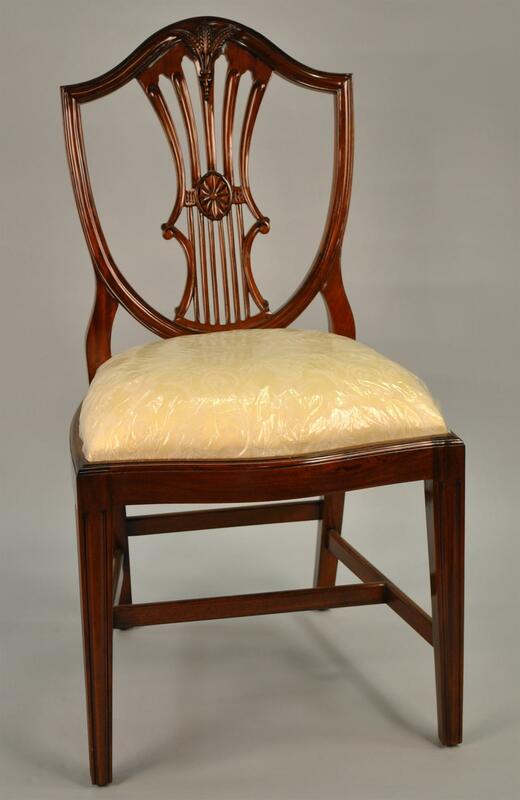 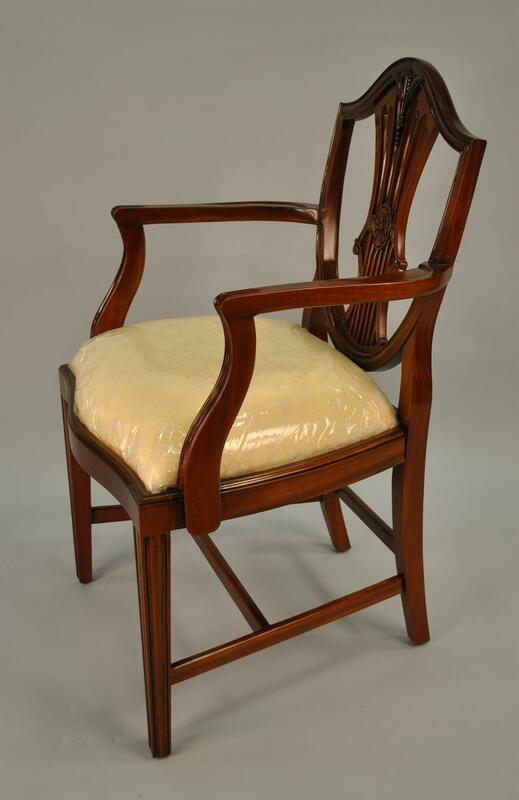 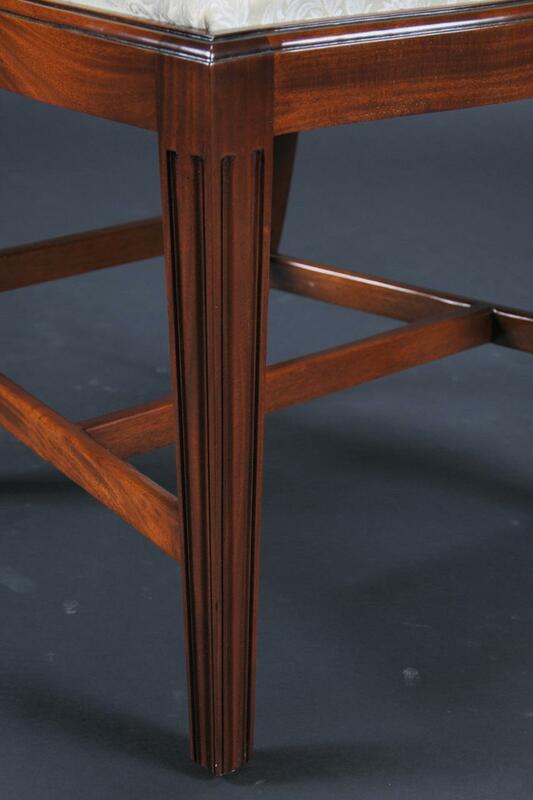 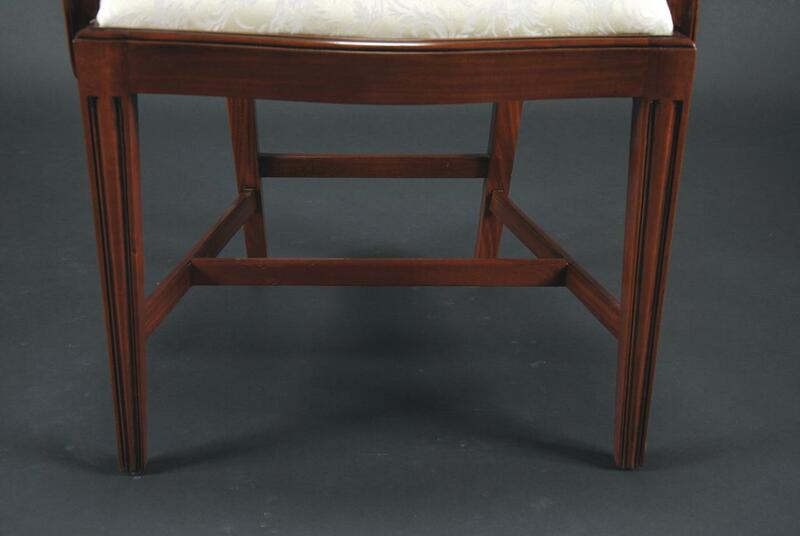 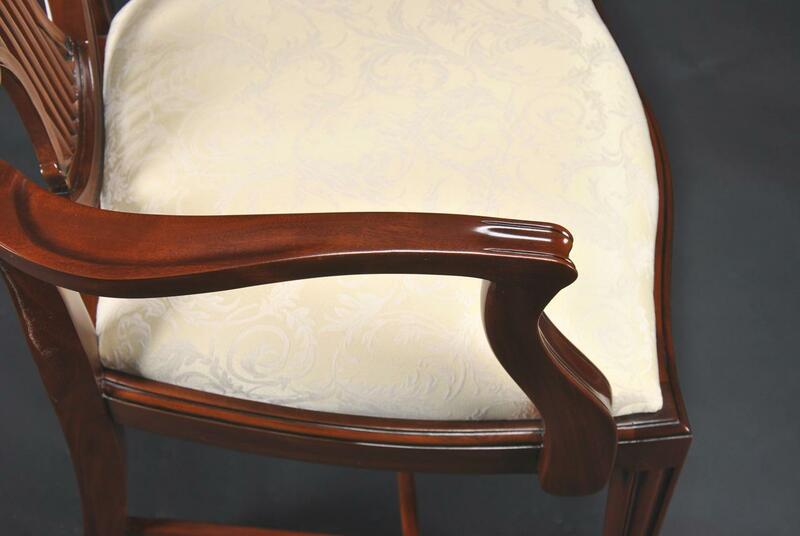 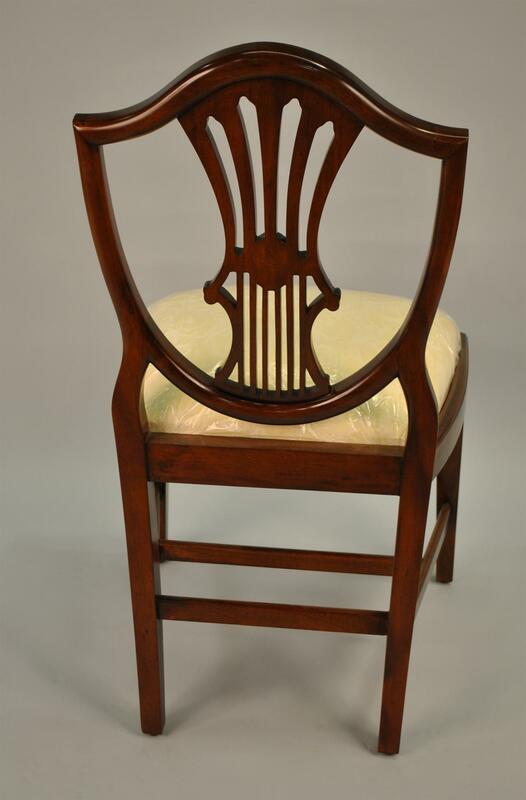 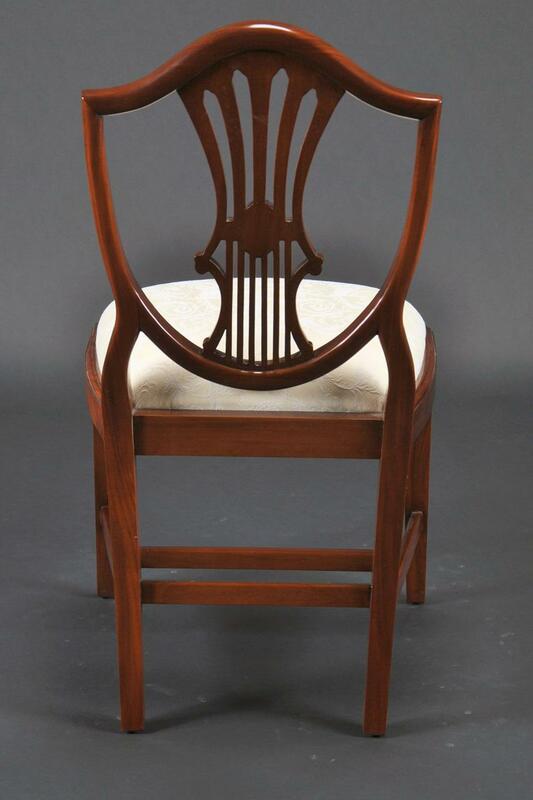 These chairs are solid mahogany and they have a simple tapered leg in front which was popular in the Hepplewhite period. 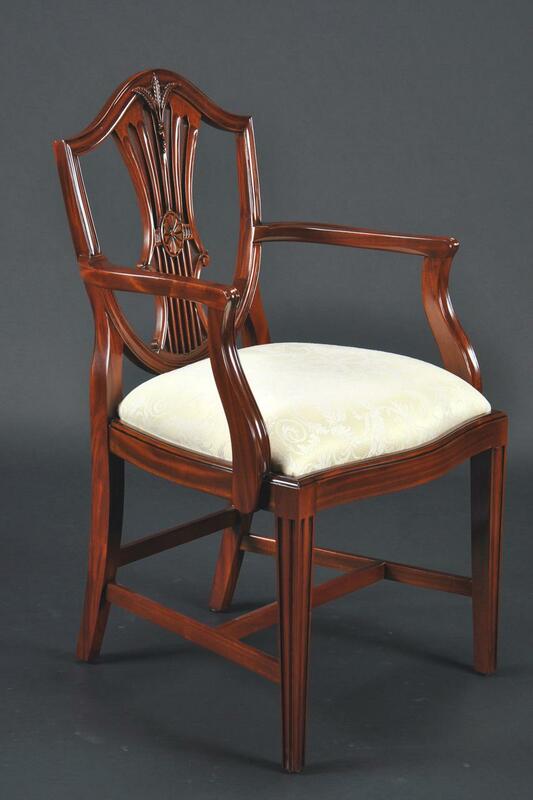 This chair is elegant and classy but it has a smart design so it is remarkably sturdy and comfortable. 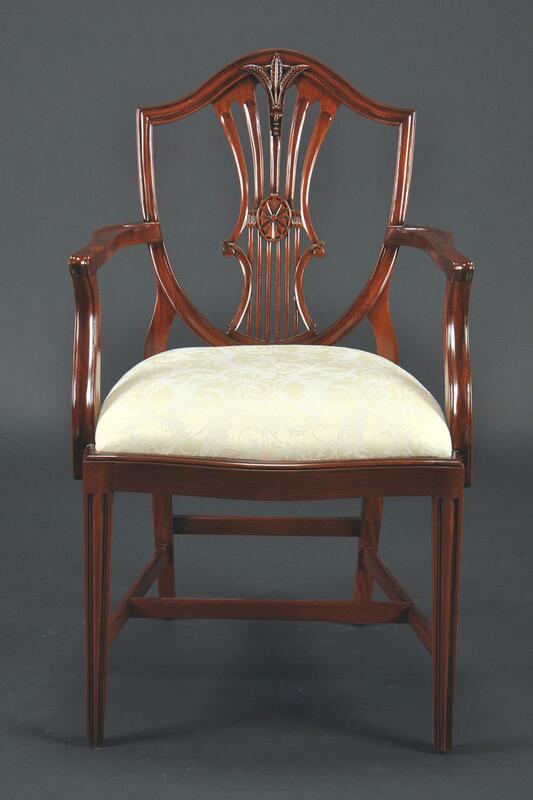 Measurements: Arm chair measures 23" wide, 23" deep, and 37" high; Side chair measures 20" wide, 21" deep, and 37" high. 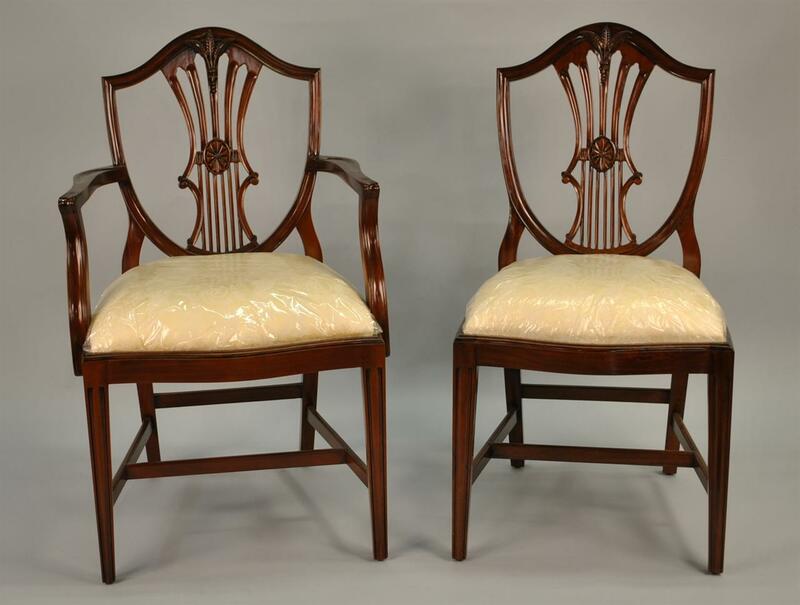 These chairs are a 1940's size and smaller than our improved schmeigh & Kotzian design. 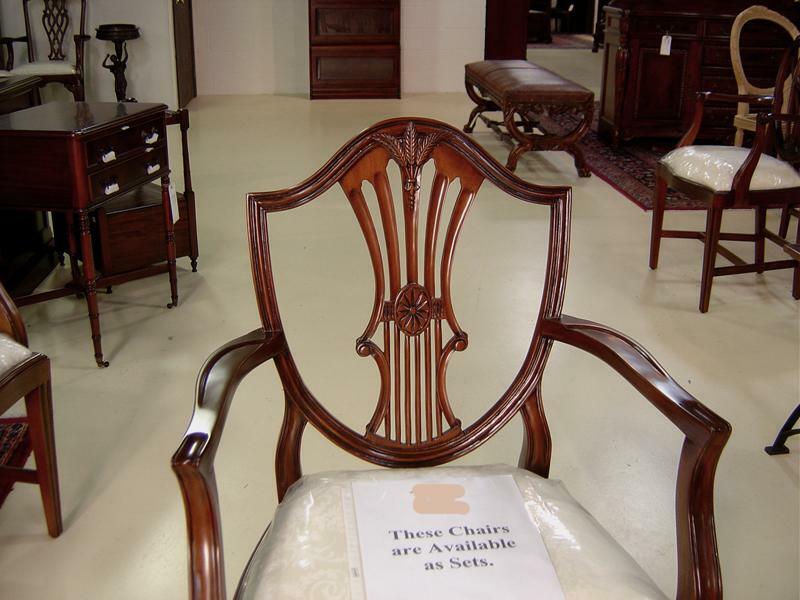 Condition: new chairs great for vintage tables.